Inspiring students to pursue careers in engineering starts in the classroom. STEM Like ME! empowers teachers to introduce STEM professionals into the classroom to educate students about what careers are available to them. 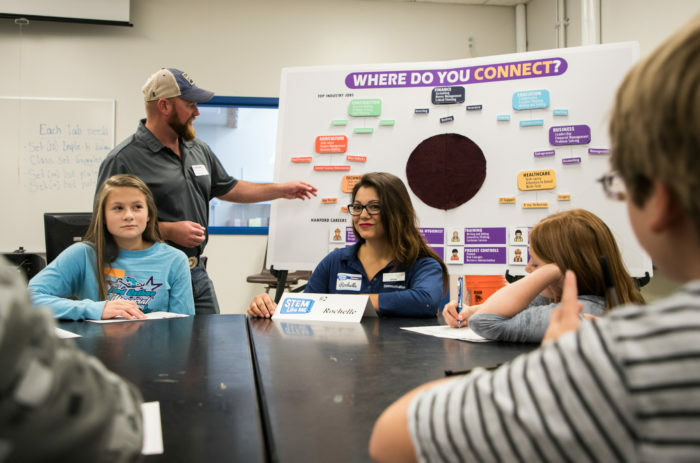 This year, Mid-Columbia STEM Network launched the STEM Like ME! Innovation grant program for teachers, and expanded the STEM Like ME! middle school program to include a partnership with Skagit STEM Network. The grants empower teachers to bring STEM professionals into their classrooms and build a play-book of best practices; and the partnership with Skagit will ultimately support the participation of all 7th grade students in STEM Like ME!